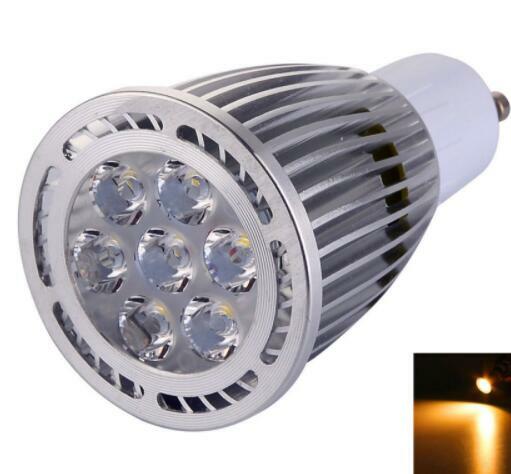 GU10 7W 2800-3200K Warm White LED Spotlight a welcomed LED product for each household. For lighting purpose, it adopts 7pcs LED emitters, which sends out highly bright light, no radiation, no UV and no pollution. With top-grade aluminum and plastic materials as well as exquisite workmanship, this spotlight has a long lifespan. It is so lightweight for easy installation by your own. Widely applied in bedroom, living room, office room or corridor etc.